According to Reuters news report, “An Afghan policeman shot dead at least eight fellow officers, burned their bodies and took their weapons to join Taliban militants.” The latest incident adds to the toll from dozens of insider attacks in Afghanistan this year alone. The perpetrator was apparently connected with the Taliban, police spokesman, Khalil Asir said, adding that he fled to the group taking weapons. This insider attack occurred in northeastern Takhar province and came just days after a US soldier was killed by an Afghan policeman in eastern Logar province, the second American to be killed in an insider attack this year. Consecutive attacks occur on regular basis it has almost become a new normal for Afghanistan. A day before this latest incident, twin bombings at a wrestling training center in a Shiite neighborhood of Afghanistan’s capital killed at least 20 people, including two reporters, and wounded 70. ISIS claimed responsibility on Thursday for the twin bombings in the predominantly Shiite Muslim neighborhood, which the terror group had targeted before. The Taliban has been the most potent armed force in Afghanistan since it emerged from the south of the country in 1994. While the U.S.-led coalition continues its seemingly unwinnable war against the extremists, the threat of the local ISIS affiliate group is growing. As ISIS has lost territory in Syria and Iraq, the group’s fighters have looked for new areas in which to continue their activities. The Taliban and the Islamic State militant group (ISIS) are facing off in a battle for control of Afghanistan, even as the U.S. and its allies attempt to pacify the war-torn nation. There is no room for doubt that Afghanistan is at war — not only with Taliban and Islamic State, but with 20-plus other terrorist organizations as well as its neighbor Pakistan that harbors and trains Taliban fighters and other terrorist groups on its soil for use against Afghanistan. Afghanistan is a country emerging from 30 years of war, it has been inundated with problems relating to all levels of law enforcement from national to local. Afghanistan experiences significant challenges with establishment of rule of law and re-establishment of peace. Recently the Afghan government, led by President Ashraf Ghani, has expressed its willingness to recognize the Taliban as a legitimate political party as part of a potential ceasefire agreement with the Islamist militant group, however the country is still bleeding daily. In order to limit the influence of terrorism and restore law and order situation in Afghanistan the current government needs to utilize smart technologies. One such available cost-effective technology to combat terrorism, crimes against women, drug-trafficking as well as restore national security and stability has been already launched by Brainwave Science and it is called iCognative technology. Given that in recent years, a resurgent Taliban has taken control of significant swaths of the country and terrorized citizens and foreigners alike. Brazen terror attacks have even shaken the resolve of those who live in the heavily secured capital, Kabul. Brainwave Science technology harnesses the power of infallible brainwaves to swiftly determine who is a criminal and who is an innocent person. Humans lie, brains don’t, and it is impossible to hide or conceal when brain talks truth. Based on the proven, patent-free P300 science, Brainwave Science launched a technology to addresses complex challenges as one faced by Afghanistan today. In the case of death of 8 Afghan Police officers, the perpetrator who shot them has already been identified. Utilization of iCognative test protocol is possible on all related individuals and adult family members with associations. Case facts including investigation details such as: Taliban operatives who visited the perpetrator; names and faces of suspects who collaborated for attack; planning documents; dates and times of visits; co-conspirators in this event identified by law enforcement; modus operandi followed to carry out recurrent insider attacks; known locations of Taliban hide-outs; witness testimonies regarding the attack along with other details can used to conduct iCognative test in support of intelligence gathering operation. Fast, user-friendly, efficient and unbeatable test is the hallmark feature of this Brainwave Science technology. iCognative test preparation takes 15 minutes for any computer literate investigator and the whole test is completed in less than an hour. 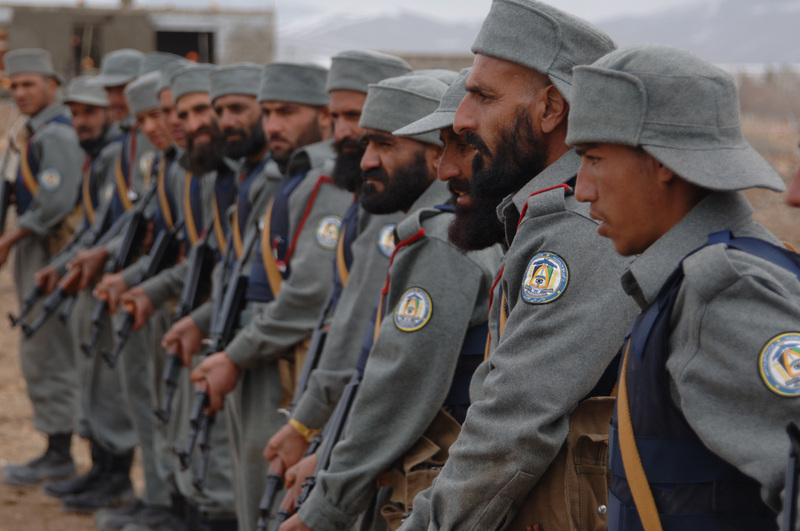 Definitive and quality intelligence leads generated by Brainwave Science technology enables de-motivated Afghan security forces to discover hidden clues and missing links. It may very well amplify the morale of general Afghan populous demoralized by recurrent events of instability and on-going wars. iCognative by Brainwave Science supports human rights and respects privacy, promotes torture free investigations and may very well play a pivotal role in restoring trust in Afghan government for its citizens. To acknowledge the bravery and sacrifices made by members of the Afghan security forces on a daily basis the current administration of President Ashraf Ghani must empower his intelligence and security forces with cutting-edge iCognative technology.